Over the past year, we have been working to develop our computing equipment, ensuring that this provides all teaching staff with the tools to teach this subject to a high standard. In school, we now use a new computing scheme called, 'iCompute'. iCompute is a primary computing scheme of work which gives full statutory coverage of the National Curriculum for computing at Key Stage 1 and Key Stage 2. Throughout the teaching of this new scheme, our children will take part in exciting, challenging lessons using the new computers installed in the computing suite or the brand new ipad's which have recently been purchased for use in school. 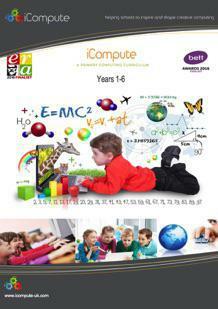 Below is an overview of the areas of computing your child will study within their year groups. In school, we have a fantastic team of Digital Leaders. These children work alongside the Computing Subject Leader to share their thoughts and ideas of ways in which computing can be developed throughout the school. They take part in cluster meetings with other schools where they share their work and listen to the ideas from other children. Towards the end of last year, the digital leaders had a fantastic trip to Blackburn Rovers football club, where an Online Safety Roadshow took place. The children returned from this event with many ideas and lots of resources to share.